Getting kids interested in reading is one thing – getting them interested in storing their books correctly can be another matter entirely! 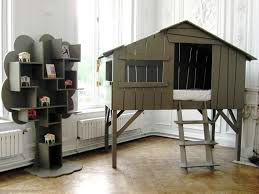 The Jules open kids bookcase from mathy by bolbs‘ Arbres Collection may be a way out of the problem. Designer Christophe Boulin has clearly taken the view that caring for books should be as fun as reading them – so how does this bookcase measure up in the real world? 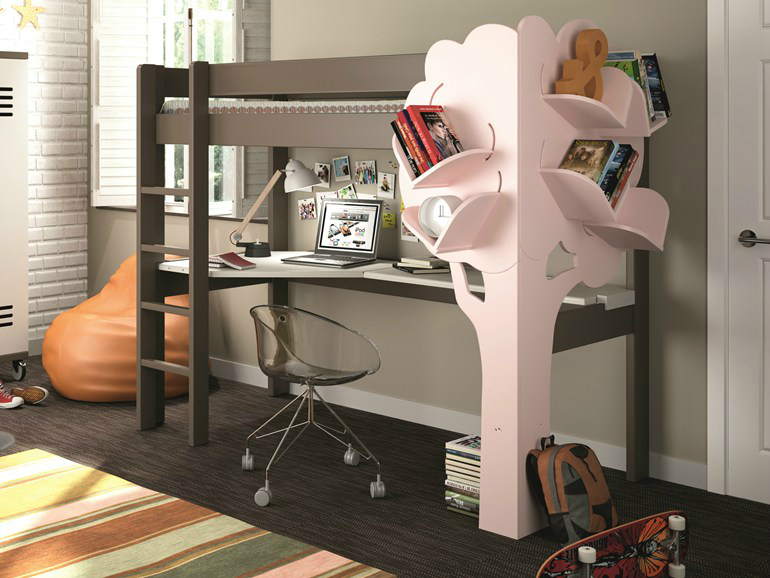 The wooden bookcase is very easy on the eye, with its distinctive tree design available in a small but well-chosen range of colors. 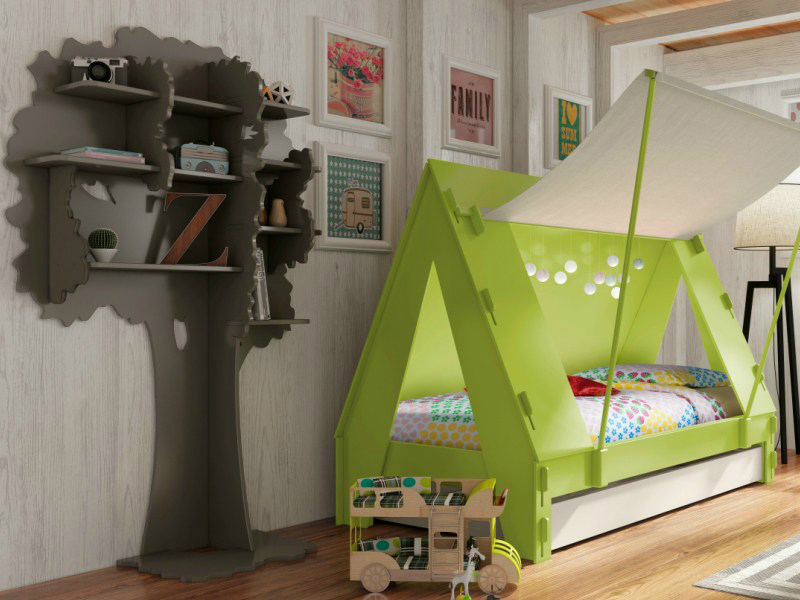 Light green is probably the most instantly appealing option, but gray may be a better choice if your kids are prone to having hands that aren’t always totally clean. 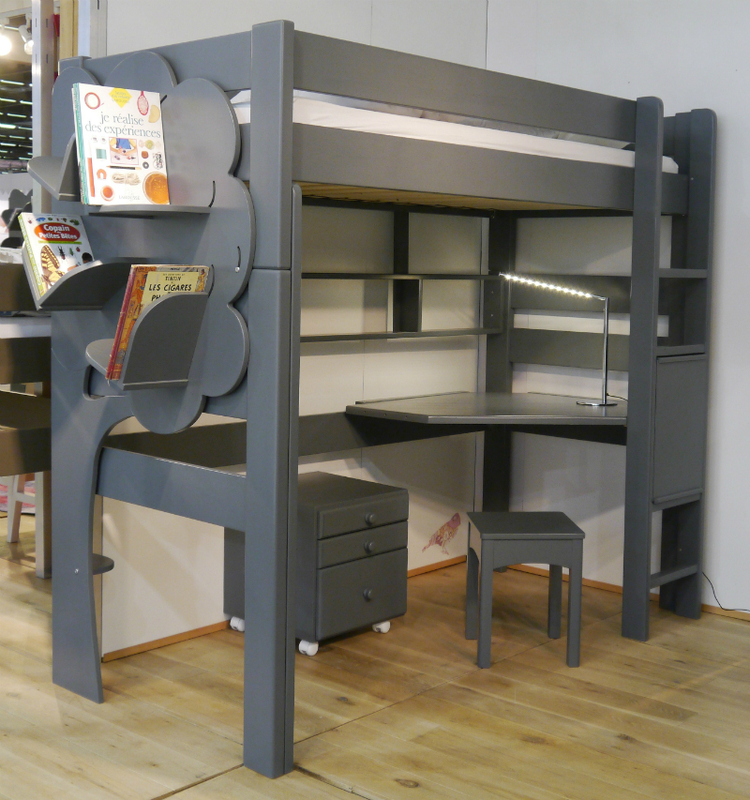 Securely attached to the corner of a desk/bunk unit, it certainly looks well integrated with other kids furniture. 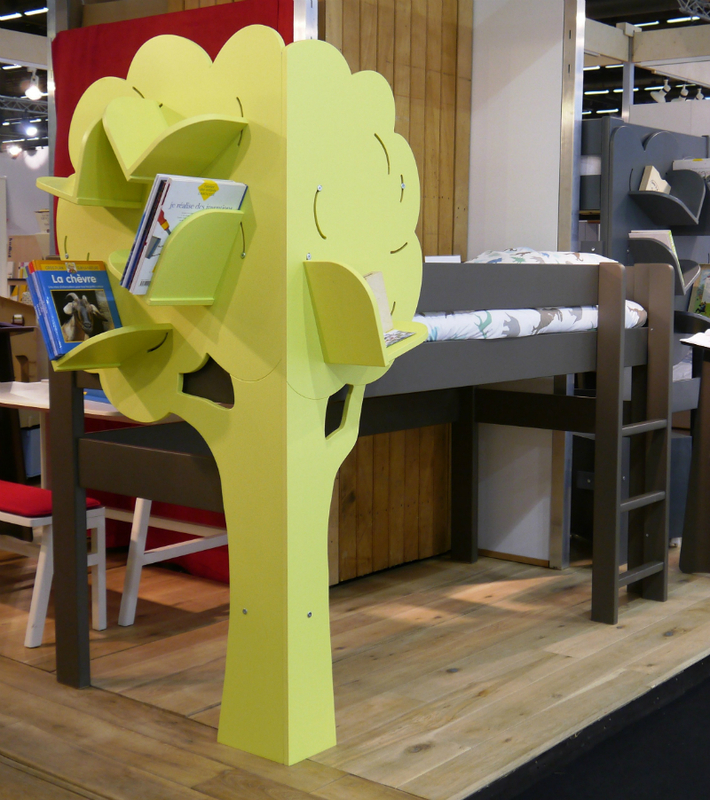 Books can be stored on the open shelves set within the “branches” of the tree. There aren’t a huge number of these, so this may not be the best bookcase for an older, more confident reader – although it’s possible that they could use it to showcase their favorite titles. One potential problem is that it’s fairly easy for a stray arm to knock a book from the shelf onto the floor, and damaged books are no fun at all! 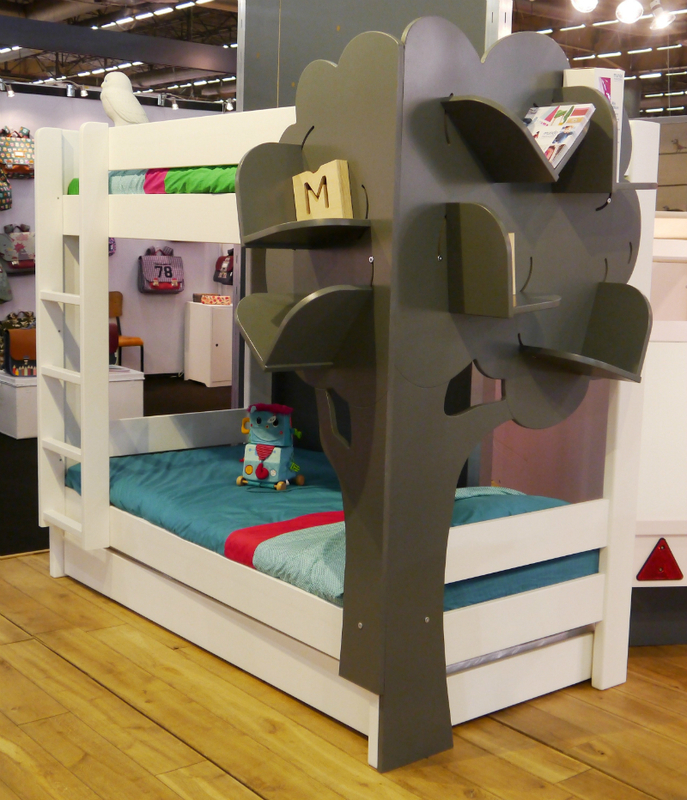 The inner surface of the tree wraps around the corner of the bunk bed. 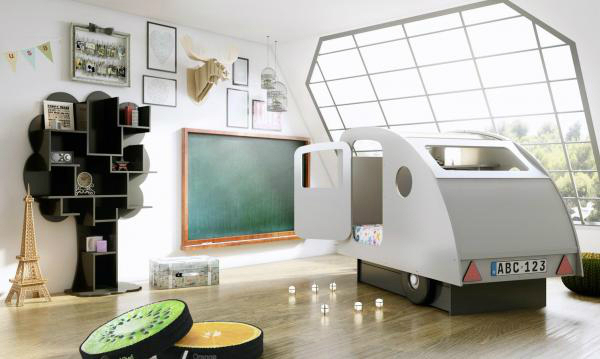 There are shelves there, too, so your kids will be able to grab a book to read in bed. Anything which encourages children to read is a good thing, although you may not be quite so enthusiastic if they’re still awake at midnight! 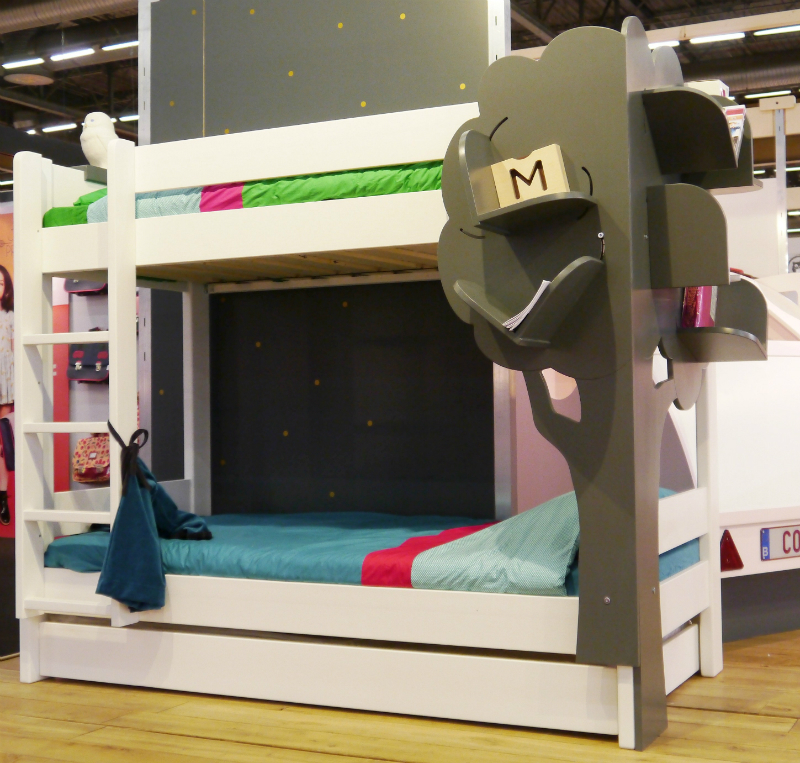 Particularly active kids will need to watch they don’t knock the shelves, but these shouldn’t get in the way while they’re sleeping. 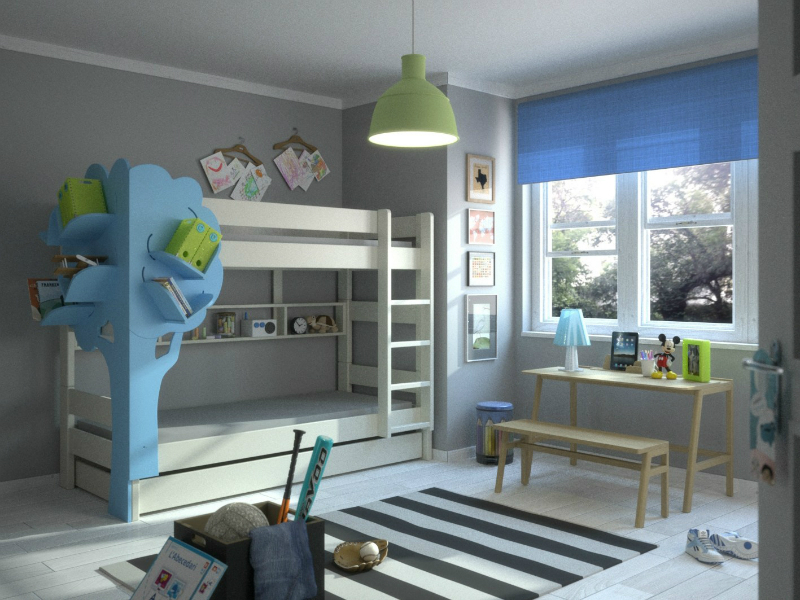 The Jules bookcase is a fun, original approach to kids furniture, and one kids will love showing to their friends when they’re over. Although its capacity is limited, it makes a great option for storing – and showcasing – a few particularly well-loved books. The high-quality wood and attractive paint look like making this bookcase a real favorite.